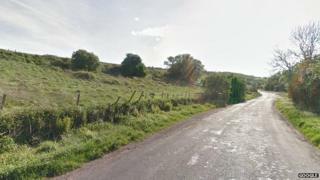 The owner of two small dogs who mauled a deer in Edinburgh so badly it had to be put down are being sought by animal welfare inspectors. A member of the public saw the dogs attacking the animal in a field near Blackford Glen Road on Tuesday. The Scottish SPCA said the deer was in "a terrible state, the bite marks were awful and you could see the muscle had been ripped off her back legs". It was in "severe pain and wouldn't have recovered" so it was put down. Fiona Thorburn, of the Scottish SPCA, said: "Passers-by described the dogs as two Jack Russell types who were off their leads. "It is extremely worrying that these two dogs were able to carry out this attack. It could be that they were being walked by their owner who lost control of them. "Unfortunately, we have been unable to trace the owner but we are hopeful someone in the area may have information. "We always advise dog walkers to take extra care when they are in areas with wildlife. In this instance, an animal has lost its life because these dogs were not under their owner's control."